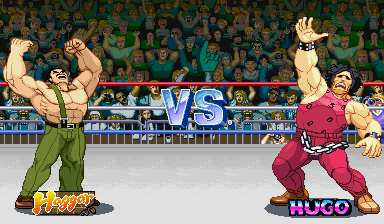 I can change the transparency, color and size ratio on the shadows and there are 3 new screenstyles that use them. New characters include Adam Hunter, Mr. X (Streets of Rage), Joker, Lex Luthor, the Flash, Martian Manhunter, Solomon Grundy, Star Sapphire. Flash’s pose looks like a transition sprite before running but it’s also based on this cover. Luthor has the twin pistols from JLU episode, “Destroyer” but I’ll probably make later variation where he has some crazy 70’s weapon with him. Joker’s sprite is an alternate angle of that Carmine Infantino pose that Mego used on his toy packaging. 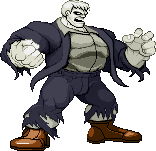 Solomon Grundy is just being crazy. Also started a brand-new Toys and Cartoons page with two headliners from the 80’s. You’ll have to go there to see those two. Other stuff: New additions to the Mini Logo page include Edi.E, Metamorpho, Mr. Fantastic, Mr. X, Lex Luthor, the Question, Scarlet Witch, Star Sapphire, Solomon Grundy, the Thing, Tyrant (Resident Evil) and the Vision. I’m also hosting some old MUGEN stages done by some friends of mine including some G.I.JOE, MOTU, DC and Marvel based stuff. You can find those here.